Who doesn't get excited when they see dolphins on the horizons? This design features a bunch of cute, smiling dolphins as they splash through the sea. Use to reminiscence a much missed vacation, or even just to spice up a boring summer day. 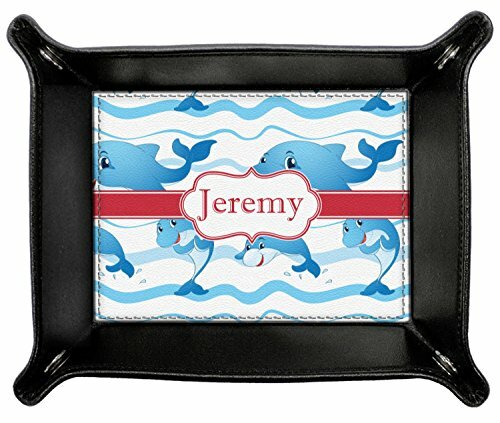 Personalize by adding your kiddo's name!